Located at 3131 West Gulf Drive, Wedgewood of Sanibel is a true luxury condo. Wedgewood has only 18 units so you feel like you have the whole complex to yourself. This condo is gulf front and no units are more than a few steps away from miles and miles of Sanibel's best beaches! 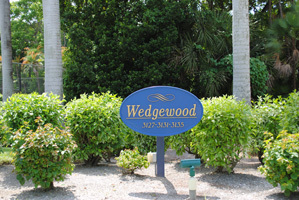 Wedgewood is close to the island's best restaurants and shopping. It is also located just steps from The Bailey Tract conservation property. This 100-acre tract has lots of trails and bird watching to enjoy! You can check out the walking trails here. Sanibel is over 60% conservation property (The largest being the Ding Darling Wildlife Refuge) and you have over 20 miles of biking/walking trails to help you explore. Our summer is in full swing and this is a great time to start thinking about Sanibel real estate or Captiva real estate! Mortgage rates are still at historic lows and real estate prices are just starting to inch upward. No matter what criteria you have (price, size, location, etc.) I can put your email address into my system and you will be automatically sent information on any new listings that fits your dream property! Let me help you! I have lived on Sanibel for many years and I can explain all the benefits of living with nature on Sanibel Island. We have so much to do on our islands and we are just a short drive across the causeway to Fort Myers. Even Disney World and all the theme parks are just a few hours drive. Florida is all you think it is! We love it here. 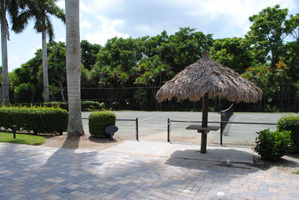 For more information, and a virtual tour, about Wedgewood of Sanibel you can visit my Wedgewood webpage. I also have lots of other condos listed here, as well as information about Captiva Island and even a "Welcome to Captiva" video!